U.S. officials are mulling the possibility of launching a military strike against North Korean targets without provoking war on the Korean Peninsula, the Wall Street Journal reports. It's been dubbed the "bloody nose" strategy: "React to some nuclear or missile test with a targeted strike against a North Korean facility to bloody Pyongyang’s nose and illustrate the high price the regime could pay for its behavior," per the Journal. Why it matters: There would be a large risk of North Korea striking back with full force if provoked. 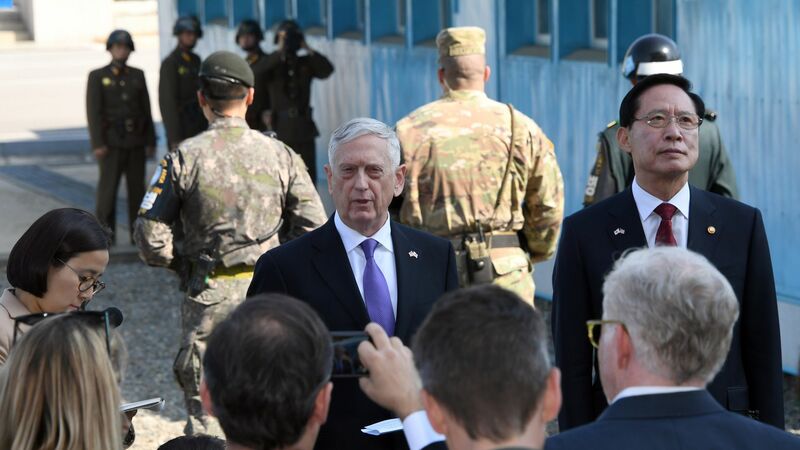 And U.S. officials are considering the strategy in the middle of planned diplomatic talks between North and South Korea — the first sign of thawing tensions in two years.